Ned O'Sullivan is tired of putting up a front. Tired of trying to hide his addiction from family, friends and colleagues - but most of all - from himself. "The denial is fierce. It is your single biggest obstacle. You deny it to everybody, and worst of all, you deny it to yourself, even though the evidence is all around you. It's like you recognise it, but you're not prepared to acknowledge it. Because you don't want to deal with it," he says. 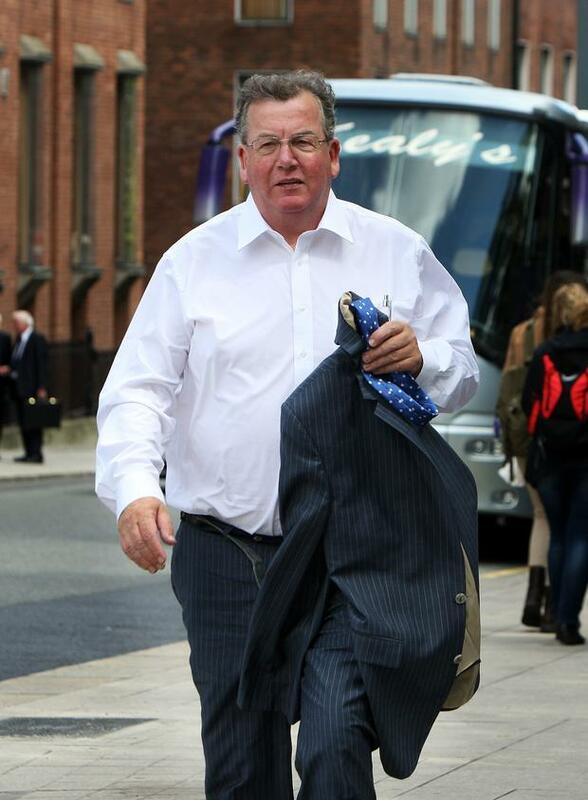 For 44 years the Fianna Fail senator's social life was bolstered by alcohol. A late starter, he says "they are often the toughest nuts to crack". He grew up as one of five children in a strict Catholic family in Listowel, Co Kerry. He "adored" his father but had a difficult relationship with his mother. "When she was in bad form, she could be quite hurtful and put you down. The only emotion you would experience is one of fear when she was cross." Ned was woken every morning at 7am for Mass; at family meals "we sat in silence like a monastery". On Good Fridays, even the sound of a musical instrument was met with ire. "Do you not know the Lord died for our sins on this day?" he says. "There was an oppression in religion," says Ned (67), "we were browbeaten. There was a lot of needless guilt and worry. As a child of eight or nine, I felt full of guilt. I remember playing with a child of about six, and I said 'I'd love to be like you because you've no sins on your soul'. You haven't reached the age of reason. Can you imagine a child of eight thinking like that?" He had two escapes: school, where he was an exceptional student, and his grandmother. Each day, he used to drop his bag and race upstairs to hear her stories about their political heritage. "She told me about her brothers in the War of Independence, how they went on hunger strike and a revolver hid underneath the pram. The very first Fianna Fail meeting in north Kerry took place in our family's workshop. The chairman was Sean Lemass." He feasted on historical biographies, but a separate love of teaching - which he knew would allow him to live anywhere he wanted - took over his career until his late thirties. "I loved it but I was quite old leaving it. I often regret that," he says. That caused him "missed opportunities" - namely not campaigning to succeed his cousin, Kit Ahern, a north Kerry TD. In his early 20s, he started drinking. He never needed it to be fun and social - sunny was his natural disposition. "The drink just enhanced that," he says. Gradually he found his real love of politics, and ironically, it was at his most successful that drink became a problem. "In politics, it's easy to get into [a drinker's] fast lane. You have to go to funerals, conventions, do overnights in hotels, you have to regularly meet your electorate. The year I became Mayor of Kerry (2004) was my busiest. I was at every dogfight. I turned down few invitations. I represented my county at events all over the country and in New York and Brussels. "And gradually my drinking started getting out of kilter. I noticed the amount but I wasn't worried because I didn't have any health problems." Still, there were subtle signs, he says. "When in company, I wasn't satisfied with the speed people were drinking, so I bought my drink out of turn, or I'd always buy the last drink to keep others on a bit longer. "Like all habits, you build up a need for it. A lot of your focus is on availability and situations you can drink without hindrance, which often meant alone. They were not happy days. The worst part is when you start to isolate yourself. I was drinking back in my apartment in Dublin on my own. That was the pits. Time became another concept." When family and friends noticed, he did everything to protect his ability to drink. "I became manipulative, clever, secretive, all the things that are not me," he says. Though, at times, he was drinking mornings, afternoons and seven days a week - when he needed to Ned could put the bottle down. He thought this meant he didn't have a problem, saying: "When an election would appear, the drink would disappear fast. I could stop for periods of time. That's the amazing part. I just couldn't stay stopped." Sooner, or later, he picked up again. "My wife, Madeline, recognised it before I did. I suppose there was an arrogance in me," he says. It was when things got out of hand at a family christening that his three sons Sean Og, a neurologist, Stephen, an actuary and Emmet, a financial expert, took him aside. "They delegated the eldest, Sean Og, to approach me the following morning. I was about to head back to Kerry and he said 'Dad, sit down, we need to talk'. He said 'we are very worried about your drinking. Mum didn't put us up to this. This is coming from us'. I just felt relief," says Ned. "Madeline is incredibly caring, but you can get immune to a wife saying it every day. I had to hear it from my sons. There was a sense of shame in that. Fathers are for giving, not for taking." His family went with him to an addiction centre, filled out paperwork and questionnaires and visited him in rehab. But what Ned was about to learn is that early recovery can bring the hardest times. "Just because I got help, it didn't mean that I was fully accepting. I thought by going for treatment, I could create a situation where I could manage drink and then behave like 'sensible' people having an occasional pint, or a couple of gin and tonics at the races. I was still in denial for a long time. And as long as you are in denial, you are in trouble." After several more slips, the realisation clicked. "I realised I can't keep going on like this. I am an alcoholic. I am the same as the fella hiding the bottle in the brown paper bag. And I can get better. But only if I really want to." So he got back on the road to recovery. "The hardest thing I ever had to do was that walk into Leinster House after I went into an addiction centre. I felt fear, shame, anxiety. But amazingly, in a place of competitiveness and aggression, all I found was love." In a high-powered and very public role, he feared the opposite. "Initially I thought, 'Jesus, when I come out, it will be all over the place'. My credibility. My image. My pride. But part of the cure is being open. It has helped my recovery big time," he says. He namechecks Fianna Fail leader Micheal Martin and his Chief Whip Diarmuid Wilson who he says are "great men of understanding". If he fell, they told him he would rise again. But he says support across all parties was superb. The really hard work came when dealing with the emotions he was trying to escape through alcohol. "When the drinking stops, the anxiety comes. Panic attacks. Give me a shot of whiskey and the feelings are gone, but then you're back to square one. So you have to dig deep and deal with what's there." In groups, he shed tears for the first time, identified and connected with fellow alcoholics as they shared their stories. There he learned tools to deal with anxiety, saying: "Now I can handle any situation if you give me three minutes sitting in a chair doing breathing exercises until the feeling passes. I also do regular meditation and mindfulness in the mornings. Someone once said 'all the world's problems could be solved if man could learn to sit alone in a chair'." The change caused him to become more compassionate in his politics - notably doing a very public U-turn to support the pro-choice movement. While the other big change came to his social life. "What killed me in the early days was all the things that would no longer be part of my life. Race meetings, having the craic at the Dail bar. But they are nothing, because there was loads of stuff out there I wasn't getting. The joy of life, reading, the good weather and really connecting with friends and family - especially my beautiful, funny, loving wife Madeline - her love never wavered despite what I put her through. 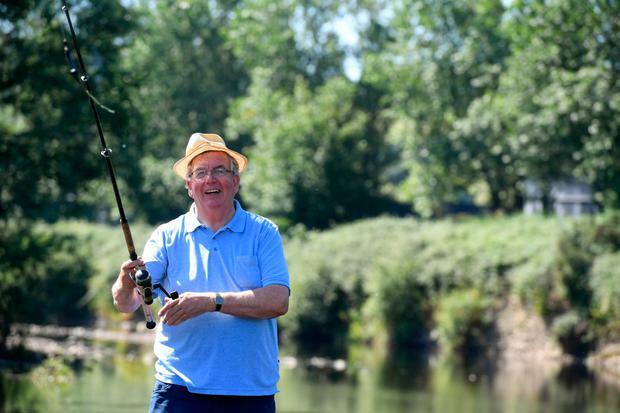 I have also gone back to fly fishing, which my dad taught me as a kid. "I can even go to the races and socialise without being edgy. I am a better person than I've ever been - naturally upbeat - but this time it's all real. The other night I went out to a quiz night and I had a pint of coke." He has also rediscovered spirituality. His most difficult lesson? "It's OK to be flawed, and it's OK to hurt, you know."